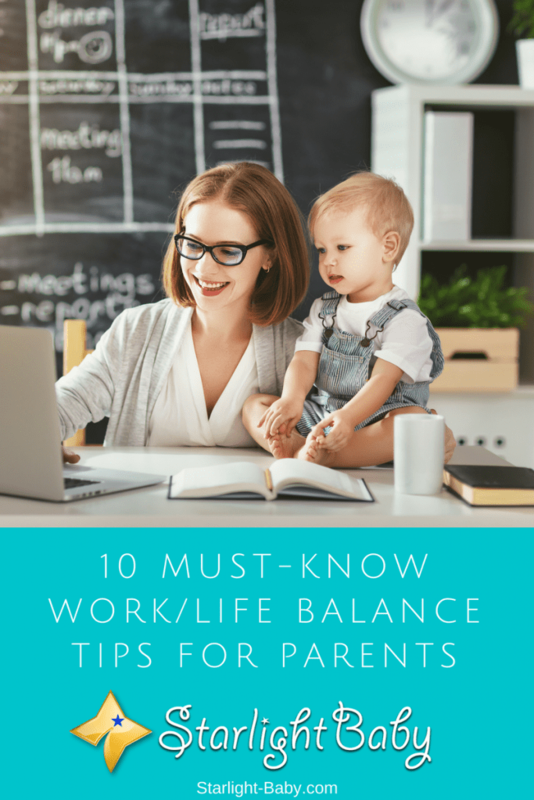 If you’re struggling to find a good balance between work and life, below you’ll discover some top tips that can help. One of the biggest challenges of being a working mom, is the morning struggle to get you and your child ready. If you find mornings difficult, it can be a huge help to prepare as many things as you can the night before. Although the only thing you likely feel like doing when you get home from work and the kids have been put to bed, is relaxing on the sofa, a little prep work can be really worthwhile. Cleaning the kitchen and preparing what everyone is going to eat for breakfast will save bundles of time in the morning. Lay out the clothes you and the kids will be wearing the next day. These tasks don’t take long but they will save you an impressive amount of stress and time in the morning. It can be really difficult keeping up with everything going on in the family. Appointments, schedules, bills and upcoming birthdays are just some of the things you’re supposed to remember, on top of those spreadsheets, meetings and appointments at work. Investing in a family calendar can help you to keep on top of upcoming events and help you plan things in advance. It could be a good idea to use Google Calendar. That way, you can even check it on your smartphone while you’re at work. So, if any work events are coming up, you can check to see whether they coincide with any family commitments you have going on and schedule around them where need be. If you have a nanny, make sure they have access to the calendar too so they can easily see which activities your child has. This is probably the toughest tip to follow, but if you can master it you’ll find you feel a lot less stressed out. The key is to ensure when you’re at home you’re 100% switched off from work, then when you’re at work you’re 100% present there. Feeling guilty while you’re at work is inevitable. However, it doesn’t have to be all-consuming. If you catch yourself feeling guilty for being at work, rather than at home with your child, turn it around and think of the positives of you being at work. Besides the obvious financial benefits such as paying the bills, think about the fact that your job is allowing you to pay for things for your child to improve their way of life. You’ll be able to contribute towards their college education, if they need something you’ll be able to get it for them. While money certainly isn’t everything, it can be really stressful as a parent when you don’t have it. Of course, there are going to be days where you do feel guilty so being able to accept there will be good days and bad days is important. Another great tip to deal with it is to meet other moms in the same position. The internet is fantastic for connecting busy working moms and dads, and even have our own forum we’d love to have you join! If you haven’t already, it’s worth asking your employer for a more flexible schedule. A lot of working moms are reluctant to do this as they think it makes them look bad as an employee. Moms today often feel like they need to be perfect at everything they do. They’re afraid of looking weak and unprofessional if they allow their family life to affect their job. However, coming up with a flexible schedule can benefit your employer just as much as it benefits you. Thanks to technology, these days it’s possible to do a lot of work from home. So, employers are much more open to let their employees do a few days a week away from the office. You can also ask to adjust the hours you work, either lengthening your hours on certain days, or agreeing to come in later or earlier – whichever suits your schedule. If your employer cannot offer much in the way of flexibility, you can always strategically choose your vacation days, allowing you to spend a few days at the end of each month at home with the family. One thing that’s going to give you peace of mind when you’re stuck in the office is knowing you have excellent, reliable childcare in place. So, ask friends, family or colleagues for references of nannies they may have used. It’s important to interview different nannies to see which one is a good fit for your family. If possible, arrange a playdate to see just how the nanny interacts with your child. This may need to be a paid playdate, but it does give you a good idea of whether they are the right candidate for the job. They should have a lot of experience, be fully qualified and have excellent references to back up their listed experience. If you’re leaving a baby or toddler at home, it’s going to be especially tough. Sometimes it’s impossible to switch off and not worry about how they’re getting on without you. So, a good way to get through the guilt, upset and worry is to surround yourself with reminders of your child at work. Place pictures on your desk, or have photos and videos with you on your phone. That way, when you are missing them you can look at the photos and videos and resist the urge to check in. If you do want to check in, do so on your breaks. This can make the world of difference on those really rough days. Mealtimes can be one of the hardest things to organize when you’re a busy working mom. So, to make it a lot easier, it’s worth creating a meal plan for the week ahead and doing your grocery shopping online. Heading out to the grocery store with your little one can be a time-consuming and very stressful task. So, when you’re already exhausted after a long working day, being able to have the groceries delivered right to your door can make a massive difference. When you do spend a lot of time working, it becomes even more crucial to ensure you schedule lots of special family time. This can be done both at weekends and during the week. If time is limited, such as on weeknights, you can do something as simple as a family movie night. At weekends, go out for the day or have a family picnic. Even if your little one is too young for a lot of activities, just you being there with them will help you to bond with one another. Family time is precious so try to come up with regular fun activities you can do together when you’re not at work. Now this tip isn’t going to apply to everyone. However, if you’ve tried everything and your job just isn’t allowing you to develop a healthy and happy work/life balance, it could be time to look for another job. The trouble is, if you stay in a job that’s making you constantly stressed and it’s affecting your family dynamic, eventually it’s going to lead to burnout. It’s also going to lead to resentment and constant arguments with your partner. Obviously, it’s not easy simply quitting a job and finding a new one. However, it is possible and sometimes needed if it’s starting to affect your life in a negative way. Overall, finding a good work and life balance isn’t easy. However, the above tips can really help. Above all else, remember you’re just one person and you don’t have to be perfect at everything. Working doesn’t make you a bad mom and you’re definitely not alone. Have any tips of your own to share? Let us know how you’ve made it through the difficulties of being away from home by sharing your experiences below! It is really tough. But it is great to have this spaces to read about it, know we are not alone and have some advices coming from real people with experience. Sometimes you can feel guilty for not having enough time for your kids, but parenting should not be a reason to give up on personal projects. The balance it’s possible! Indeed, Goldlady, achieving work-life balance is possible. Although at times, especially for working moms, they can’t help but feel guilty for having less hours to spend with their kids. Tip #4 is really helpful in this case. I believe it’s a matter of weighing the benefits and doing one’s best to spend quality time with the kids when one is not in the office. fantastic tips but the I think the most important tips are to ask for flexible schedule by your employer and investing in a good day care. You must have a very understanding employer for you to be allowed a flexible schedule. Unfortunately, many doesn’t have that opportunity, and are tied to the regular working hours. This is the reason why I looked for employment alternatives when my youngest was still a baby and I don’t have a nanny to take care of her. Switching jobs is not for the fainthearted, but it’s worth a try if you know you have the ability to succeed somewhere else. I’ve been fairly successful managing home life and work life… But I still can’t get over the guilt I feel whenever I leave my child alone. I feel as if I’m failing her when I don’t give her my full attention 24/7 and it eats me from the inside, your post actually made me feel a bit relieved with myself! Well, I am proud to say that I am a working mother. After my maternal leave was done I went back to my job because it is my passion and I really enjoy it. Reading through your blog post returned me to the past and to those initial feelings that I was experiencing when I was returning to work after spending so much time around my baby. I was terrified to leave him to somebody else and I felt enormous guilt doing it. Luckily, my partner also encouraged me to follow my dreams and to return to work. It helped a lot. You are right that juggling the work and a baby is extremely hard and very tiring. I use most of your tips already and they truly work. The most important and beneficial is definitely preparing things the night before. When you wake up you don’t really have much time after you eat and so on. Preparing everything before saves a lot of time. And remember that everything is possible, it just takes the time to get used to it! It’s really hard for many parents around the world working and at the same time has kids at home to take care of.If you ask any parent today about how they are coping, each one will have something to say. We need to know the reason why we are working, these reasons will definitely motivate us whenever we wake up every morning to go there.The primary reasons being that it helps to put food on the table and to take care of our children, so it’s an inevitable factor. The only thing we can just do is to learn how to balance it with our family lives and this article gives vital hints. We need to also be sensitive to the nature of work we are doing.Most people don’t like the work they are doing and sadly, many don’t have an alternative.Some work consumes most of the time available, make you come back late at night and exhausted giving you little time for family.Work that is around what we love(maybe a hobby) and gave more time to spend with the family goes a long way. No doubt having that personal time for our kids is essential because no one can take care of them like we do.If the work is taking most of the time available it’s better to try as much as possible to look for another one that gives more time. You can also learn & start a side small business and build it till it compliments the earnings you are presently getting. Two thumbs up to you, Gettingmile. I love the ideas you’ve shared! The reason behind why women need to work helps get rid of the guilt when moms leave their babies to work. And as for work, I guess there is only a small percentage of people (not only women) who are in jobs they really love, and have the flexibility of being able to have more time with their kids. But at the end of the day, I would say most people are happy enough to have a job that puts food on the table. I think that this article is really useful for everyone and not just to parents and they’re toddlers. This article is great for anyone. I will keep those tips in my mind for sure! Yes, I would say parent or not, other people could also find these tips useful. Tip #1 is also very true for people who are in very demanding jobs. Getting things ready before going to bed ensures you don’t forget everything you need for the next day. After I became a parent, one of the difficulties I am experiencing is not knowing how to balance my personal life and professional life. I work from home. If you have a child, he/she will be a great distraction. You cannot ignore the temptation to get to your child or attend him when he calls you or comes near you. Someone has told me if I can help my child get engaged with certain activities or things, I can continue working. Or make my child sleep and work when the child is sleeping. Both suggestions are actually helpful, vinaya. Getting your child to focus on certain activities will minimize his need to keep coming to you and disturb you while you’re working. Working when your child is asleep is also a good suggestion. You have to create a work routine around your child’s sleeping and waking times. I believe this would also be the best time to create a routine that would be beneficial for both you and your child. It’s true that working at home has its disadvantages because you have a lot of distractions involving your child, but I believe if you are able to create a routine, it will not be as difficult as it is now. Good luck! It is amazing that there are ways that nursing mothers can combine working as well as taking care of their baby. This is a must read for every mom that desires to combine working and raising the kid together. I appreciate so much for this article. I guess that is one of the skills a mother eventually learns – multitasking. And this skill is indeed very handy in order to finish tasks at home before and after going to our place of work. I’m not sure about guys who also do household chores, but based on my experience and those shared by other moms, we can do the laundry, cooking, and cleaning while taking care of the baby at the same time (baby is strapped to our body via a baby carrier). My Mum was a stay at home mum. She was selfless and sacrificial giving up her career to raise 5 amazing children. I’ve always thought that working while raising kids shouldn’t go hand in hand drawing from my family experience, but your post paints a different picture. The points on planing a fun family time, switching jobs, and surrounding yourself with family thoughts appeals a lot to me and am to others too. They are very good and effective ways to ensure you don’t loose touch of things. They might sound like the best ideas, but it still won’t replace the stay at home feeling of being there like you pointed out in the conclusion. But they just might help. Your mom truly made a great sacrifice in leaving her career to raise you and your siblings. That is a difficult choice but because she loves you, she didn’t think twice. These days, however, most parents both need to work in order to have enough and some extra for family expenses, so couples most often help in raising the baby and in doing household chores. Balancing work and parenthood could be tough at times. It’s never easy to be a working parent. It never will be. I’m a young mom of a six months old baby, and I have to juggle work, chores, studying and taking care of my baby. I’m glad that I’ve found this post and it gave me ideas on how I’ll be a better mom, student and employee all at the same time without taking anything for granted. Oh, that’s a much tougher thing altogether, Irish. It could become difficult to focus on your studies if you’re tired from work and parent duties. Good luck with that! And yes, it is never easy but we do get by eventually. I can internalize all those tips. Working abroad is different story. Internet, social media is our way bridging the connection and a way of fulfilling my role as a mother to my daughter. In some way having this amazing world of internet ease the feeling of guilt to my child. Years pass by until I ended up with switching job. My presence to a 10 year old is highly needed so I decided to quit my job and few months from no more goodbyes for me and her. I already set some home based jobs as well and some source of pasive income. I would say you made the right decision, sweetpot81. Your daughter is growing up and she surely needs you near her. She will soon be needing your guidance with regards to menstruation, attires, boys, etc. No offense to fathers out there, but I’m sure you would agree that mothers would be better at explaining about menstruation, haha. Spending quality time, providing the needs , best education for kids are just few target of all parents that’s why we go to work. These are some of the list only but it doesn’t mean that you can deprived your work niether your role at home. Good planing and time management are the best things to consider. Don’t bring home any office work, try to do it everything at office during office hours. Whatever you have at the office leave it there, try not to talk about problems as well. Once you’re at home, be the mother to your kids, wife to your husband and manager of the house. In this way you can balance between work and home. These tips are what some parents miss out, they all form too busy and leave their kids to grow all by themselves, it is not as if you are not trying hard to fend for them but it means that you should always mantain that relationship with your child. Work place can be so demanding same with family needs and support, it is important you try to create those parent times for your kids, or else you might loose them to the dark world outside. You have to build up those consciousness of letting your kids know that you are always there for them, sometimes it isn’t work that keeps us only but we wanting to prove that we are better and can do it best, you can only do such type of works only when you are single. You’re right about children going to the “dark world” if they’re not given proper attention. That is why a work-life balance is very important because we cannot sacrifice our children’s well-being by focusing all of our time on work. Our children are the reason we work, and if they lose their way because we didn’t give them enough attention, then the fruits of our work will end up in nothing.